Originally from Senegal, Sana Camara has chosen to make Kirksville his home for nearly 30 years. He enjoys small-town life, finding it less stressful and more affordable than living in a big city. Throughout his tenure at Truman, Camara has taught all levels of French courses. He earned his Ph.D. in French from The Ohio State University. He also has a master’s degree in comparative literature from the University of Illinois at Urbana-Champaign and a bachelor’s degree in English from Université Cheikh Anta Diop in Dakar, Senegal. While Camara and his wife welcomed their third child in the fall, his kids are not the only people he is helping find their way in the world. 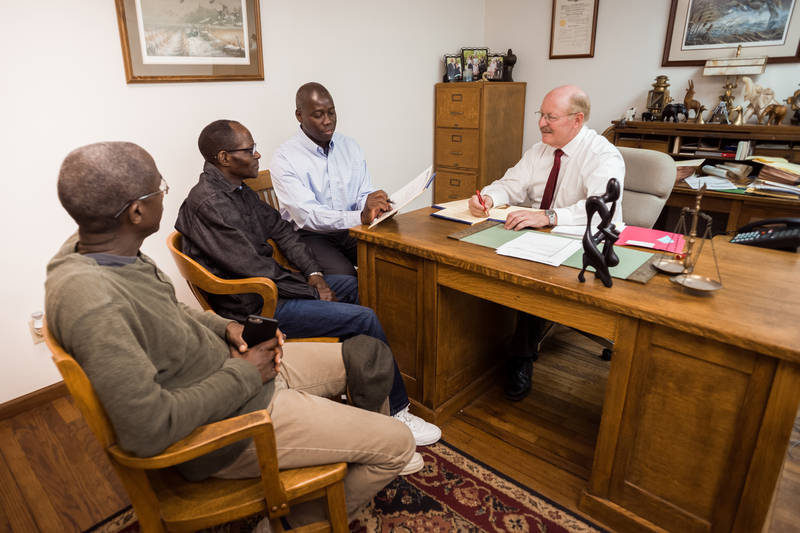 He actively works with the increasing number of Congolese immigrants relocating to Kirksville. As a professor of French, he is able to assist the non-native speakers when it comes to paying their bills, finding a job and even obtaining a driver’s license. Outside of the classroom Camara maintains a rigorous commitment to academia. He is the author of five books. In his free time, he enjoys watching sports on television. First, it was my own personal choice to study languages and literature, and then my positive experiences with excellent teachers who encouraged me to assist in the intellectual development of students with highly creative spirits, teaching them tolerance and respect for human values. I am always eager to have a positive impact on my students, whom I cherish as my own family. My teaching philosophy is characterized by gentleness and good humor. Nonetheless, I believe students should always be challenged so they can appreciate the value of their knowledge. 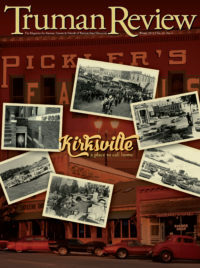 What were your opinions on Kirksville when you first moved here? It was truly a serendipitous experience. After the head of the French Department at the University of Illinois recommended me, Truman flew a four-seat plane to pick me up in Champaign. At that time, I was struck by the values my colleagues established: promoting teamwork and showing a spirit of collegiality. Though I have at times been a victim of prejudice within the community, I find solace in the maturity and positive reaction of my students. Can you tell me a little bit about the influx of Congolese people to the area and your work with them? The Congolese people make up the majority of the African community in Kirksville. As Diversity Visa Program lottery winners, they were attracted to Kirksville by word-of-mouth because of the job opportunities and benefits at Smithfield Foods and Kraft-Heinz. It is natural for me to be close to them, and to further develop good working relationships with them. Many expressed their pride and admiration for my position as full professor at an American university. They seek my advice when they are faced with difficult circumstances. 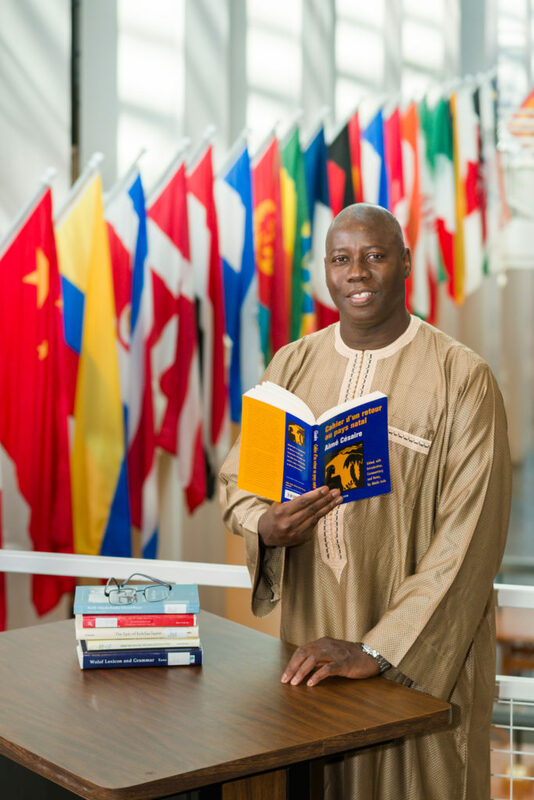 My scholarly publications, and the fact that I was invited to talk about them on Senegalese television, and at renowned universities like UC Berkeley, Harvard University and the University of Illinois at Urbana-Champaign. Over the years I have become a very quiet man, so calm in appearance that I sometimes doubt my intellectual and creative capacities. Maybe it is the fear of failing. What is your best advice to your students? Never give up. I applaud people’s commitment and courage in the face of adversity.